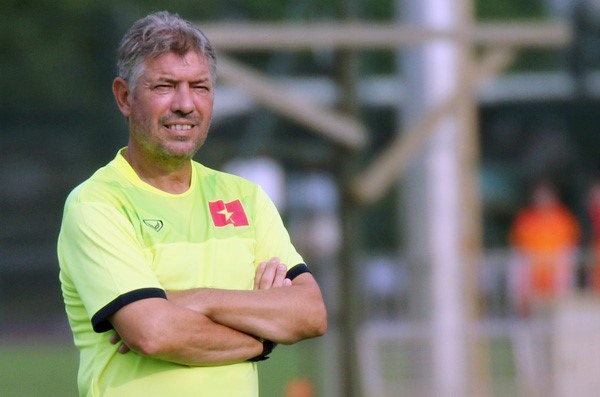 The Việt Nam Football Federation (VFF) has awarded German technical director Juergen Gede a two-year extension to his contract. The 62-year-old started working with Việt Nam in August 2016 with the task of raising the quality of football in the country and developing the youth teams. During his time, Gede has helped the country secure a place at the FIFA U20 World Cup 2018. He is considered a silent hero following the success of the U23 team at the AFC U23 Championship held in China in January, where Việt Nam finished runners-up for the first time in history. Gede will continue to travel with Vietnamese teams to important events such as the Asian Games 2018, AFF Cup 2018 and Southeast Asian (SEA) Games 2019. Gede entered football at the Schalke 04 training centre in 1970. He became a player at the club from 1975 to 1977 before moving to Preussen Munster and Fortuna Cologne. He switched to working as a trainer at Fortuna Cologne in 1991 and travelled around with different European and Asian clubs before being selected as coach of the Iranian Olympic team in 1995. He was executive director of the Iranian squad which won the Asian Championship two years later. Since then, he has worked in Uzbekistan, Bahrain, Malaysia, Libya and Azerbaijan. Before arriving in Việt Nam, he was at the Aluminium Hormozgan Club in Iran.